If there is a challenge with culture and knowledge of oil, the solution comes from chefs and cooks. There are no better testimonials for a quality oil or its correct use. 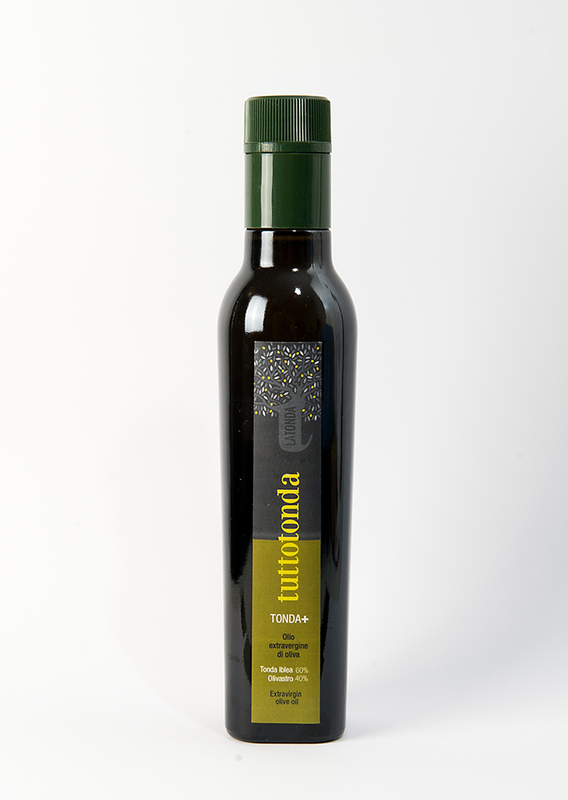 For this reason, TuttoTonda has always garnered the attention of chefs. This year, prompted by the new law that requires the use of bottles with a special stopper that blocks the refilling of the bottles, we have created a special line following the regulations. Anti-refill stopper that protects against the sanctions allowed by the new law. Are you a chef? Check out what we have just for you! ORGANOLEPTIC QUALITIES: Fruity, green and very intense. Aroma: Fruity hints of tomato leaves, fresh cut grass and artichoke. Taste: Strong flavor with intense spicyness, but complex and well balanced; Recommended combinations: Goes well with oregano, capers, olives, tomatoes, bruschetta, basil, mint, garlic, sundried tomatoes, legumes, raw artichokes, pasta with vegetables and fish, shellfish, oven baked fish as well as served raw etc. It will be at its best when used on raw cutlets of fish or on pasta with sea urchins and langoustines. After being extracted, the oil is kept in stainless steel tanks with a controlled temperature between 13° e 15°C and without any oxygen. The oil does not get filtered, instead it is left to decant naturally. The oil is poured regularly and only put into bottles when orders come in. This method allows the oil to maintain its chemical and organoleptic qualities, unaltered by the passage of time.